Right. January is finally over – that was fun, wasn’t it? My thoughts are with my US friends – well, all of my friends, wherever they are – only another three years, 51 weeks of this. But while we should not turn a blind eye to what is happening, we also need to get on with things – and what better to get on with than the Puzzly for January 2017. Yes, it’s Book Of The Month time – oh, and if The Donald is reading this, books are those papery things that you see other people reading. Why don’t you try it sometime? A decent rediscovery from the Golden Age – a classic-style mystery. A transatlantic flat swap turns into a nightmare for one woman – has she moved into a killer’s apartment? A page-turning new release. Yet another lost classic, but a bit of a disappointment. An actress is found poisoned, while posed as her most famous role. 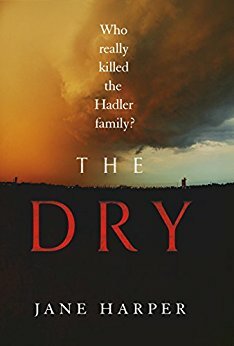 An evocative thriller set in Australia with a strong whodunit plot underpinning the story. Another outing for Bobby Owen as he tries to recover a stolen hat and stumbles over a murder in the wilds of Essex. Another case from the author that nobody seems to know anything about – some clever ideas, but not as strong as The Mystery Of The Peacock’s Eye. My first encounter with Bruce’s second detective, Carolus Deene – not bad, but with a very dull collection of suspects. It’s great to hear about obscure GAD authors and even better when they’re really good. What would you say my chances were of getting a reasonably priced Flynn novel? The cheapest copy is at amazon.co.uk at 17.50 pounds plus shipping. They have only one used copy ! Great month Doctor! I’m reading The Trespasser by contemporary crime author Tana French at the moment, strikes me you may enjoy it. Going to go on a hunt for Flynn now on my next London bookshop walk, will let you know if anything ever comes up!